Carefully fashioned (popped) from spelt, and pleasantly sweet with 30% honey. 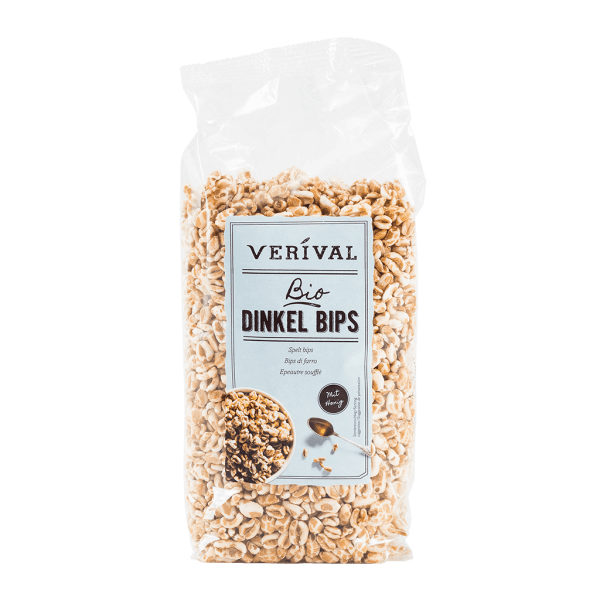 Our spelt bips are made from spelt grain. Enriches any breakfast experience when mixed with milk, or eaten with muesli. Spelt pops are also outstanding as nibbles between meals. Puffed spelt* (wheat**) 70%, honey* 30%. > May contain traces of sesame, lupines, soy and other nuts.